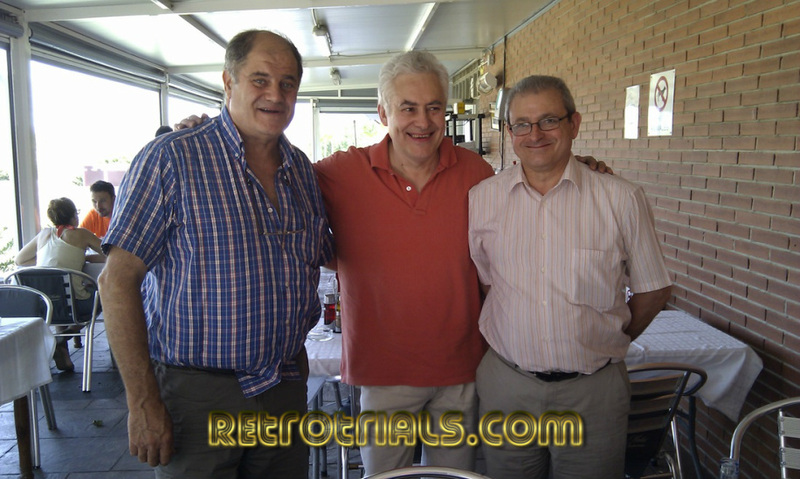 On the 26th of June 2012 all 3 founders of the original Mecatecno meet once again after 15 years and enjoy each others company. Juan Ruiz , the mechanic- left . Jordi Rabassa , the Boss - centre . Ramon Mira, the designer - right. Whilst Juan Ruiz remained in the motorcycle industry untill his retirement , Jordi and Ramon ventured into other careers. Jordi and Juan live nearby to each other and do see each other from time to time. Ramon lives in another area of Barcelona and was not in as much contact . Thanks to Jordi for arranging the meeting after all of these years. The paella was excellent along with the company. Untill today , this photo was the only photo of the 3 founders together. 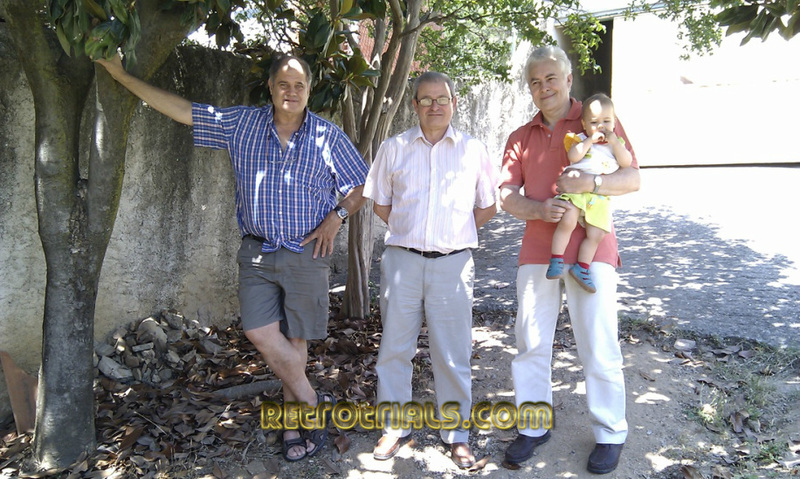 They are pictured together in Jordi Rabassa's rear garden , which was where they started Mecatecno and made the first motorcycles. The workshops are behind them with the first batch of childrens bikes. 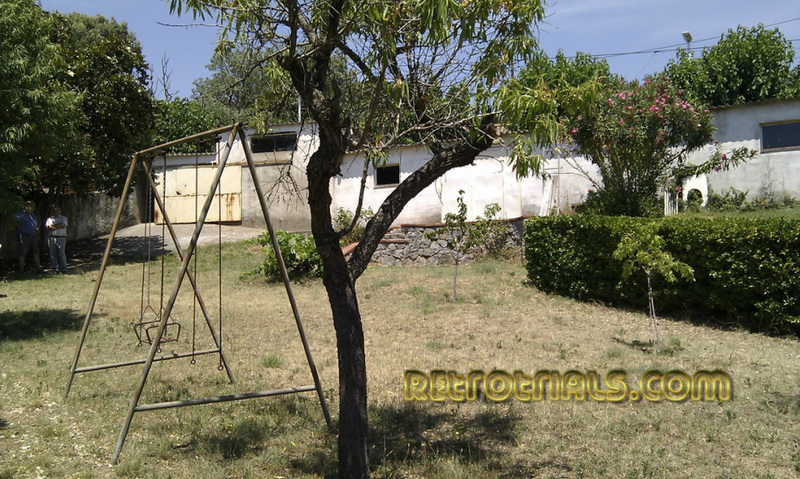 Here are the workshops from a distance, standing by the Rabassa house. 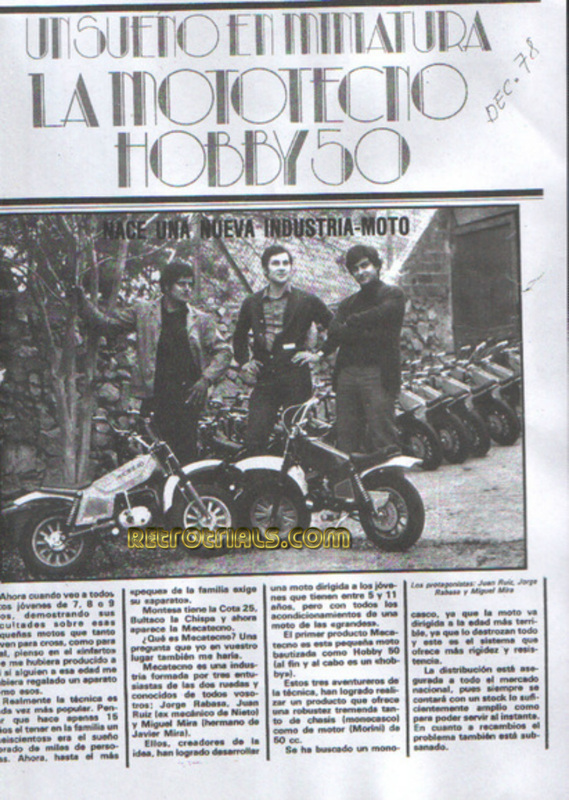 Juan Ruiz spent his whole career in the motorcycle competition industry and is now retired . Jordi Rabasa works in metal fabrication using his skills.